Merry Christmas everyone. 2018 has been an interesting year for us. Even though we haven’t been updating the website we’ve been busy working behind the scenes. During spring we had to move the entire collection and all of our spare parts to a new location quite quickly, as we sadly had to leave our old place. It’s been a ton of work getting everything up and organized and we’ve had to do a lot of thinking about where we want to take everything. Things are starting to come together now and we’re gearing up to take the next step with the collection. We should have some more news about where we’re taking things in the beginning of next year. Until then we hope you have a great end to 2018 and a great start to 2019! I can’t believe that it’s been a year since the last update. 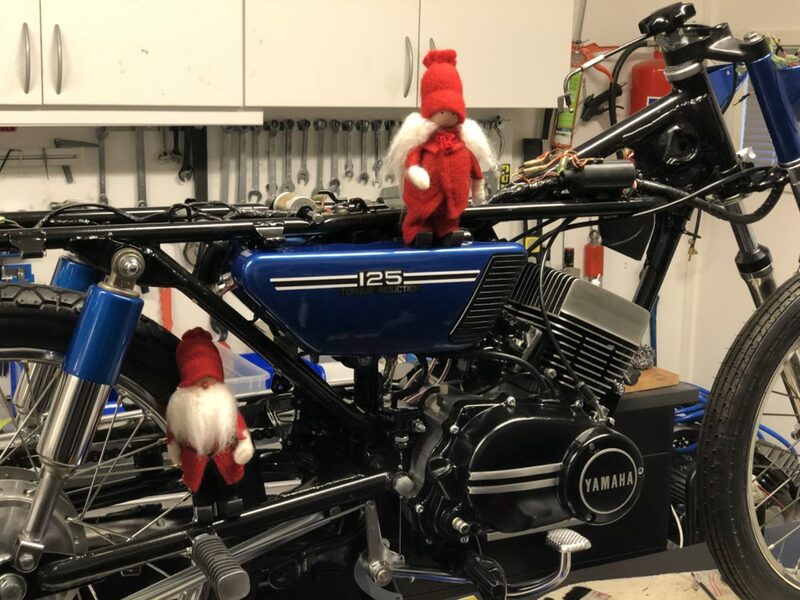 Don’t worry, we haven’t run away, we’re still working on our bikes. Sadly we haven’t had the time to do any regular updates during the past year but we’re still answering the questions you send us and try to help out as best we can with finding parts! Have a merry christmas and a happy new year, see you in 2018! Fun news: the bike was sold at the auction and fetched a nice price. After bidding it went to Per Rasmussen from Bergen, Norway for a price of 15 000 GBP. 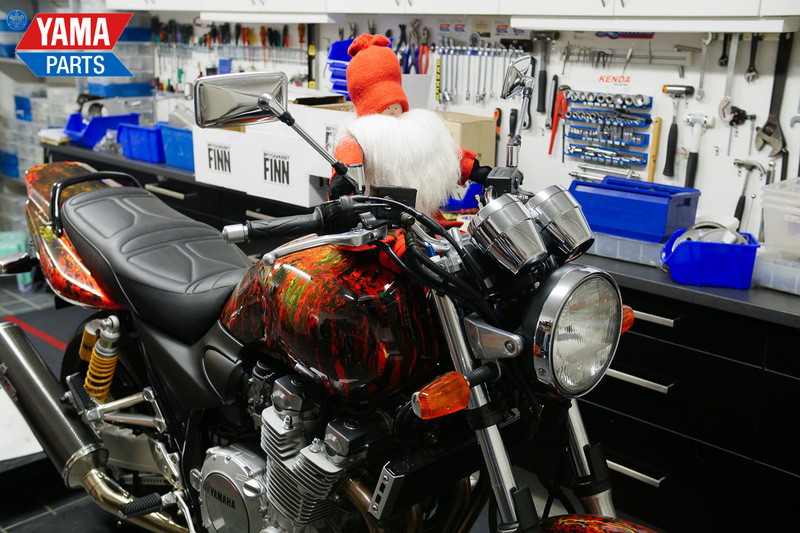 Our best wishes, the bike has found a good home! Added below are some pictures of the final signature by Queen Sonja taken by Sven Gjeruldsen of the Norwegian Royal Court. You can find more pictures and some more information about the auction at Sotheby’s website. Time to break the radio silence, our AS3 Art-bike is going to auction at Sotheby’s this monday the 26th of September! We’ve updated it a bit since you last saw it and have added artwork by H.M. Queen Sonja, Magne Furuholmen and Ørnulf Opdahl. 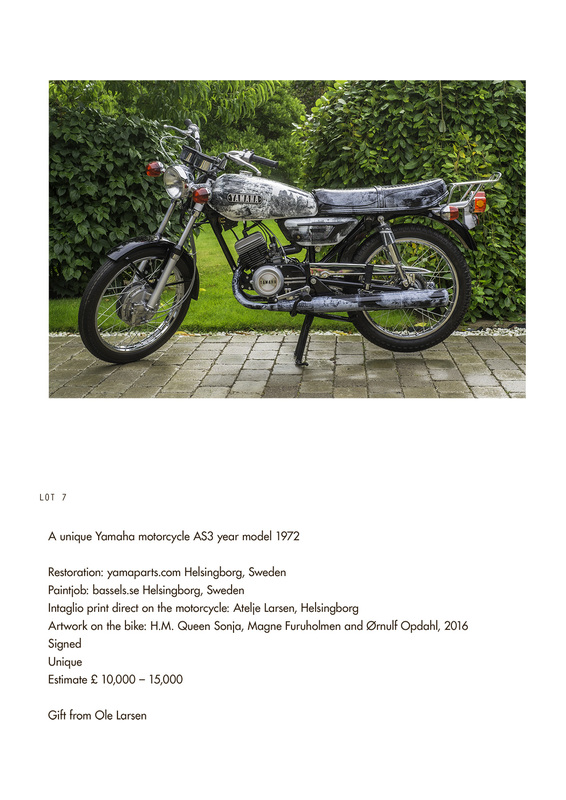 As a part of the board of directors of the Queen Sonja Print Award Ole has donated our AS3 Art-bike to the foundation, all the proceeds will go there. 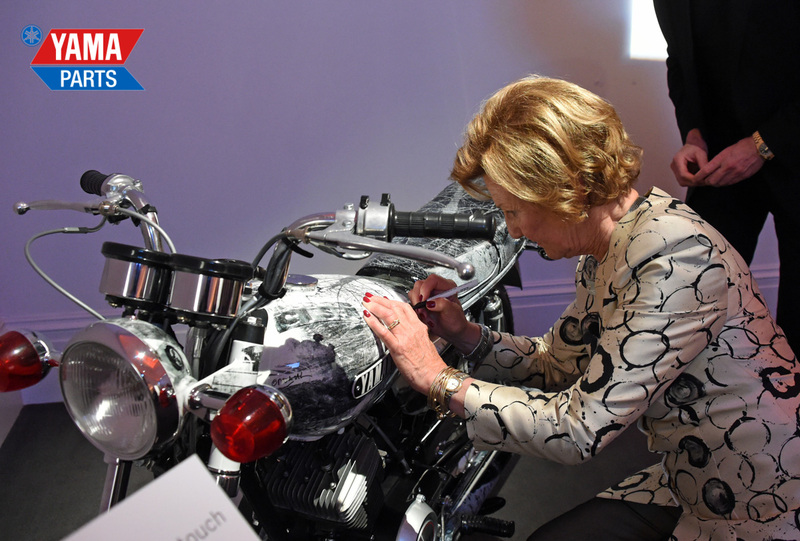 The main purpose of the H.M. Queen Sonja Art Foundation is to generate interest in graphic art and to encourage young artists to develop both their craft and their unique voice. 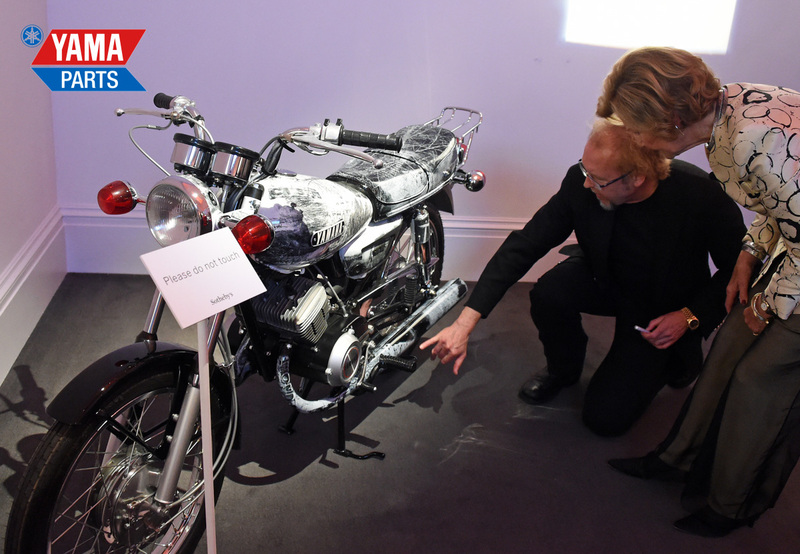 So if you fancy getting a hold of one of our bikes and helping the foundation support young artists, do bid for it! There’s more information in the pdf for the auction, the bike is one of a few lots, all of them in support of the foundation. Click here to view the pdf. 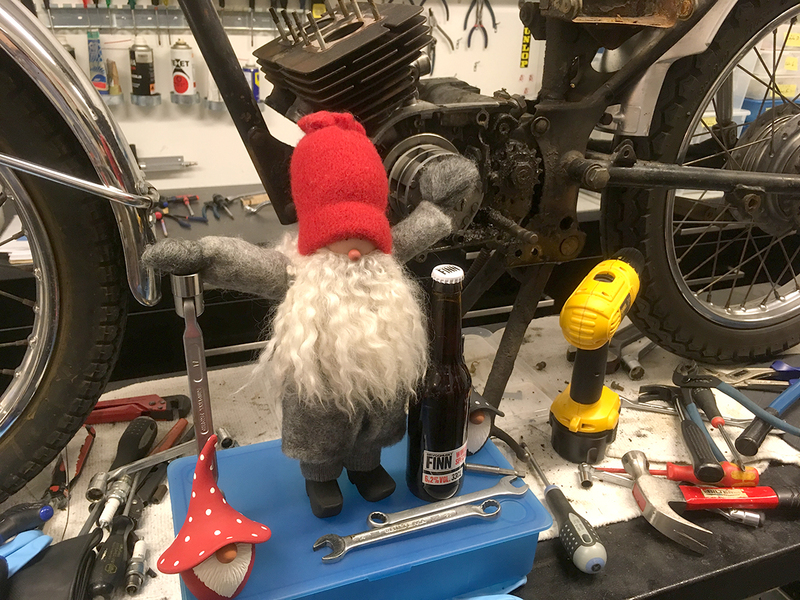 Regarding updates in general: both Ole and myself have had a hectic few months so we haven’t had as much time to work on our restorations however we’ll get back to it during autumn! As before, feel free to send emails if you have any questions or are looking for something in particular, we’ll help out as best we can.